Custom inks make an ordinary brochure look and feel extraordinary. Metallic inks and spot UV add sparkle and shine. Spot Pantone inks ensure consistent colors, and scented inks can make people crave your product. Metallic inks are full of tiny metal particles. The metal bits catch the light and add shine to a brochure at a lower cost than foil stamping. Metallic doesn't just mean silver and gold – we can print a wide array of metallic colors, including bright blue, vivid purple and elegant bronze. Smells are closely linked to memory, and scented inks create a lasting impression. We offer scratch-n-sniff and coated light rub inks, and we can also work with the specialty glue that's commonly used to hold perfume samples in magazines. Imagine an apple pie scent wafting from a bakery brochure or the smell of freshly cut grass coming from a brochure for a lawn care company. In Spot UV printing, we apply a coat of glossy varnish and then quickly cure it with an ultraviolet light. Because the varnish dries ultra-fast, we get shimmery details that make people want to run their hands over your brochure and say "Wow – that's amazing!" Spot inks in Pantone colors allow us to print a brochure using a four-color printing process, and then print certain areas (such as the company name and logo) in Pantone Matching System colors. Also known as PMS Spot printing, this process ensures color consistency across all your marketing materials. Metallic inks work best on glossy coated stock. To keep those metal particles in place, we recommend adding an aqueous coating on top. Scented inks can be mailed as long as the scent isn't exposed. You can put a coating on the scent or design it to be covered by a fold. Spot UV works well on any thickness of paper stock. We recommend using a matte finish paper so the extreme shine of the UV coating will really stand out. One of the best ways to ensure a good matte finish is to put soft touch coating on your project before the spot UV - a process known as "Silk Spot UV." 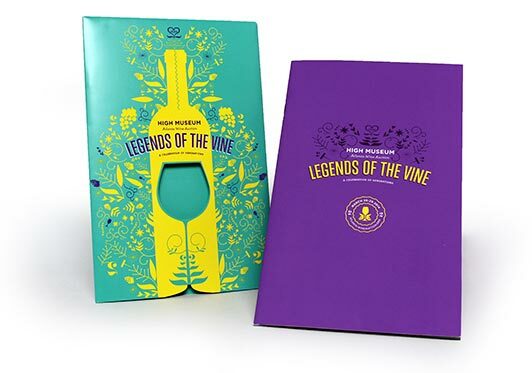 Brochures traditionally promote products or services, and they're great for product descriptions, company promotions and glossy photos of tourist destinations. But brochures are also good for public information campaigns, maps, menus, invitations, coupons and lists of services. Keep your brochure text concise and easy to read. 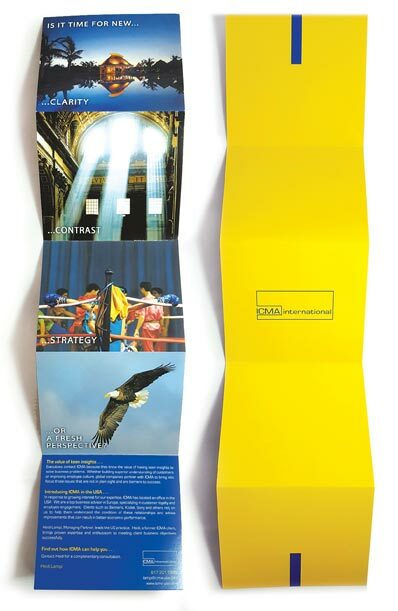 Use special printing effects in key spots to attract attention to the front of the brochure and to the call to action. This helps people notice your brochure and focus on what's important. When combined with custom inks, brochures can really make your message stand out and build your brand identity. Choose colors, textures and custom printing options that reflect the image you want to project. Multicolored metallic inks might make a party planner seem fun and festive, while spot UV could help brand a product as cutting edge. Spot Pantone colors help create a brand identity around your colors. Use smells to brand your business. When people open a café brochure and smell coffee, they'll associate it with that fresh roasted aroma. Custom inks let you get creative. Use different metallic inks together to create a distinctive design. Or combine scented inks for a unique sensory experience. Layer Spot UV on top of an image to accentuate a message or product. Think of a car wash brochure where the clean car really does sparkle. Custom inks help you create unique custom brochures that brand your business and set your marketing on a path to success. Need technical or creative advice on your custom brochure printing project?